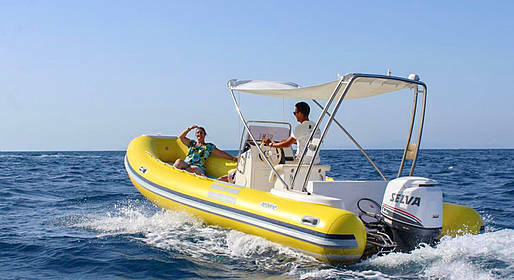 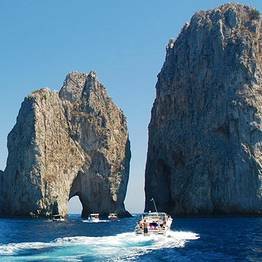 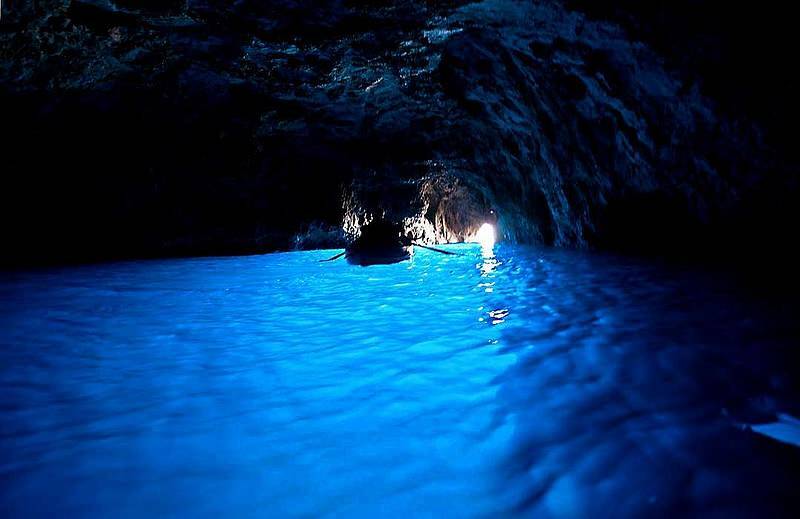 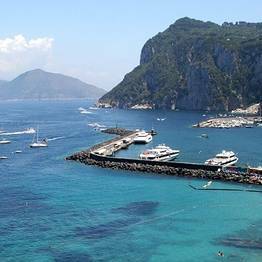 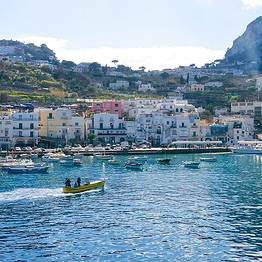 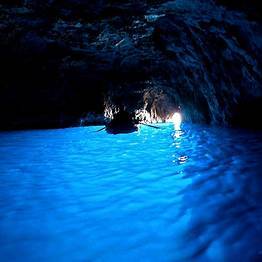 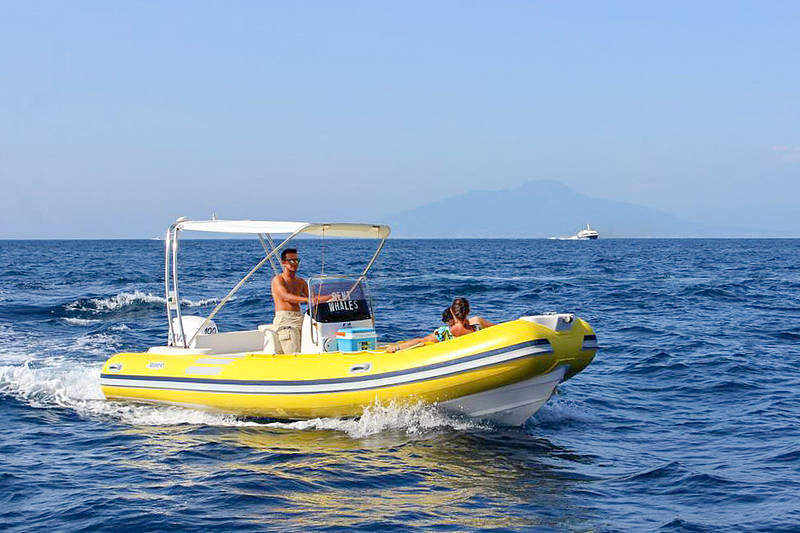 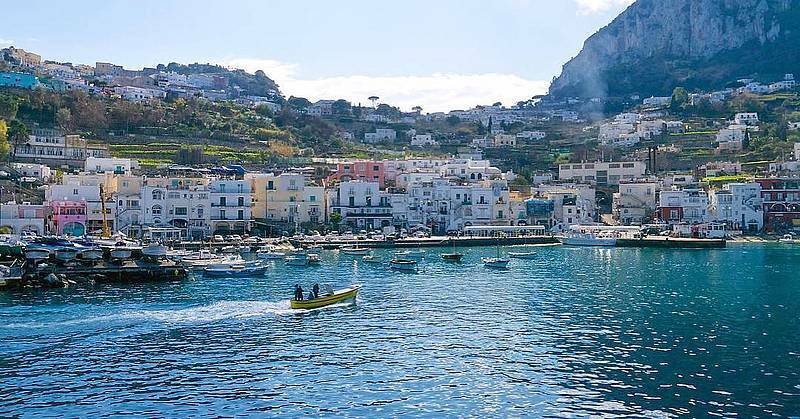 Explore the coastline of Capri in complete independence with a rubber dinghy rental: 40 hp of fun and no need to have a nautical license! 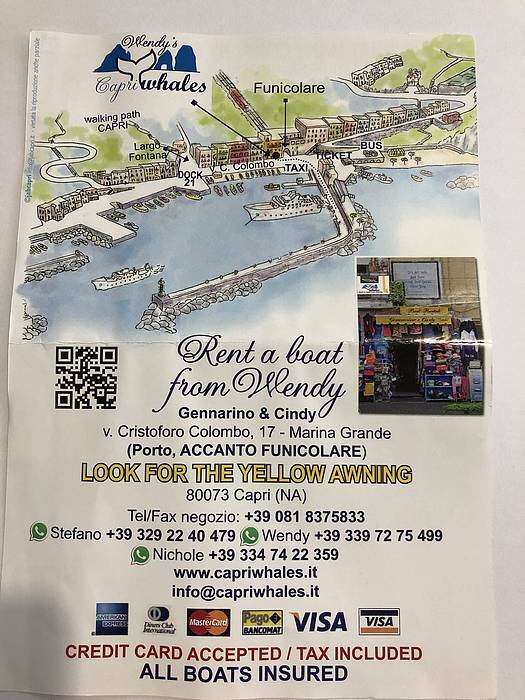 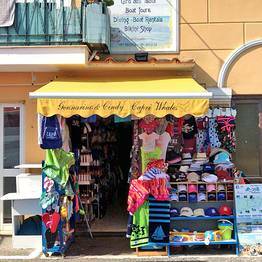 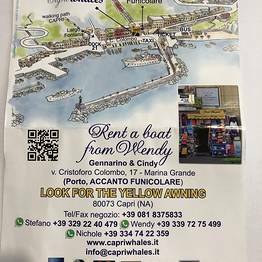 The meeting point for Capri Whales rentals is at the "Gennarino e Cindy" shop (see the map), immediately recognizable by the yellow awning, located next to the funicular stop on Via Cristoforo Colombo, 17. 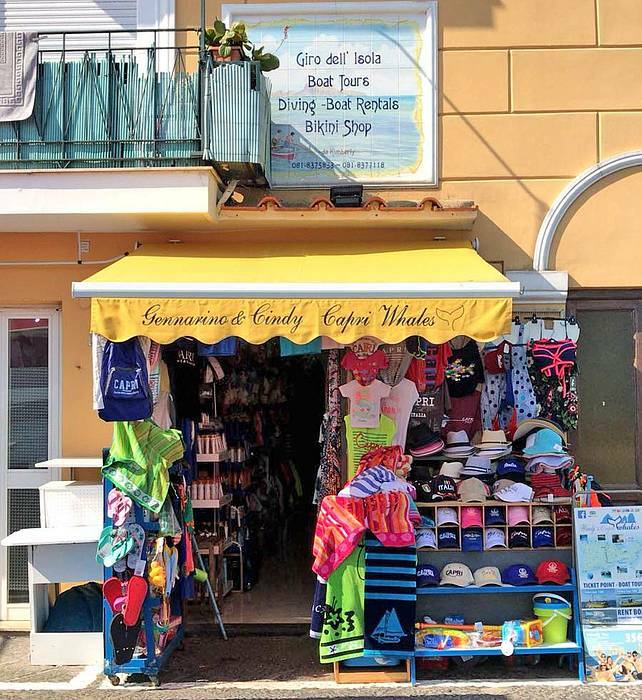 The shop sells swim suits for men, women, and children, towels, sunblock, hats, beach bags, etc...if you need something for your rental, you can purchase it here before departure! 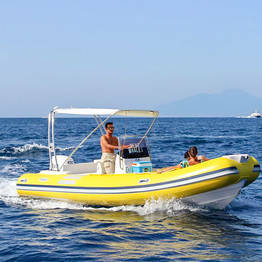 There is a also a bathroom to get changed before or after your rental.